My first thought on planning this blog post was to focus upon the abuses of the English Defence League (EDL) and the way that its members and affiliates persecute Muslims in modern UK. However to focus only upon this particular form of bigotry would be to miss the much wider point of article 9. So instead I’m going to explore ‘freedom’ of conscience and religious belief from a larger perspective. 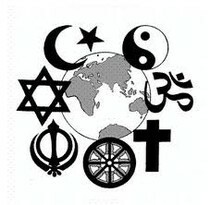 this right includes freedom to change his religion or belief, and freedom, either alone or in community with others and in public or private, to manifest his religion or belief, in worship, teaching, practice and observance. On October 25th 2007, 22 year old EG gave birth to twins at the Royal Shrewsbury Hospital. A few hours later she was dead because she refused to accept a blood transfusion. EG was a devout Jehovah’s Witness. She suffered a sudden haemorrhage and bled to death following a natural delivery. EG had already signed a form before the birth refusing blood in such an event. This is an interesting case and (since it’s already in the public domain) one I often use in training around rights and mental capacity. Participants are asked to consider a number of principles relating to EG’s capacity to decide, the rights of others to overrule her decision and the limits of an individual’s right to follow their religious beliefs in the face of life threatening injury or illness. It always makes for an interesting discussion. Most people begin by arguing that EG’s husband could and should have consented to treatment (blood transfusion) on his wife’s behalf. Others argue that the medical team should have made the decision to treat her whatever her husband said. However the fact is that EG was a consenting adult who had made her wish to refuse treatment abundantly clear. She understood the consequences (Jehovah’s witnesses do tend to understand the implications of refusing blood). She had made her decision. To put it another way, EG had decided that the chance of eternity with her God was better than another few decades here on earth followed by the intolerably cruel torture of eternal isolation from that God. Given that those were her beliefs it’s difficult to say that another few decades in this life would be worth the cost in the next. So we see then that people have a perfect right to follow their religious beliefs wherever they will take them – even to their death if that is what their faith demands. However they do not have the right to inflict those beliefs upon others. One excellent example of this involves the way that the law treats Jehovah’s Witness children (or more accurately the children of Jehovah’s Witness parents) when they turn up in hospital. Whilst an adult can refuse ‘life sustaining treatment’ for themselves on purely religious grounds they cannot do so for a minor. The law assumes that young children are too young to have chosen to follow a religion because they are unable to understand it in any meaningful way. So they are not bound by it. There are other considerations around consent and ‘Gillick’ or ‘Frasier’ competence as children grow older but the issue is always around the child’s own ability to decide – not the religion of other people, even their parents. Typically in cases where the parent refuses consent on religious grounds the child is made a ward of court and treated in their best interests, regardless of the beliefs of their biological parents. This gives us a dramatic illustration of the basic principle that a consenting adult can follow their religion even to their death if they choose but they cannot inflict their views upon others. As an aside, although I do not intend to focus very much upon the anti-Islamic ‘English Defence League’ (EDL) during this series, it is this article that will prevent the Sharia law that they fear so much from ever becoming law in Europe. It is a religious system and cannot be imposed upon anyone who does not agree to be bound by it. Such is the beauty of the European Convention’s article 9. There are a number of Sharia ‘courts’ in UK but they do not have legal authority in the same way that other courts do. Instead they are centres of arbitration and rely upon all parties agreeing to their ‘judgements’. This is a far cry from the imposition of Islamic law across the board that some people pretend. There are some concerns that Shariah ‘law’ discriminates against women and that Shariah based arbitration may well lead to unfair decisions. However that is no different from the way that many Christian churches operate in UK. I remember many years ago when I was a fundamentalist Christian myself being encouraged to follow the church’s own arbitration system as laid down by the Apostle Paul (Corinthians Chapter 6). But I also know that when it became clear how flawed that system of arbitration was there was nothing to prevent me from contacting a solicitor and solving my problem that way. In fact that is precisely what I did back in 1993. The same rules apply to matters of conscience. Morality is not always based upon religion and so article 9 protects people who have firmly held beliefs wherever they come from. But again the same rules apply – only in so far as those beliefs don’t interfere with the rights of others. It’s OK for Nick Griffin and others to believe in some mythical Arian ideal but it’s not OK for them to remove the right of others to join any political party they choose to because of it. 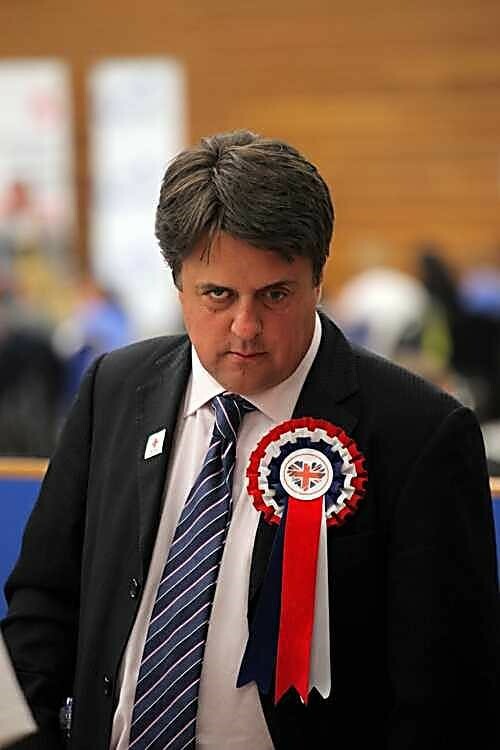 The British National Party (BNP) led by Nick Griffin was forced to change its policy in October 2009. The court ruled that the BNP policy that only white people could join this political party was judged to be discrimination. We can see then that whatever we believe article 9 both protects our right to act according to our consciences but also protects us from the interference of others who want to impose their beliefs upon us. This is why, for example, Christian B&B owners are not able to discriminate against people using their services – it breaches the potential guests’ equality rights under article 14. This is why the nursing professional governing body, the Nursing & Midwifery Council forbids nurses from inflicting their own religious opinions upon vulnerable patients. It’s why Gary MacFarlane was sacked by Relate and why the courts did not uphold his ‘right’ to discriminate against gay people. There is no right to discriminate against others because of your own religious belief. You have the freedom to follow your conscience but so have others.